I was listening to the radio this morning and heard that yesterday was Arbor Day. 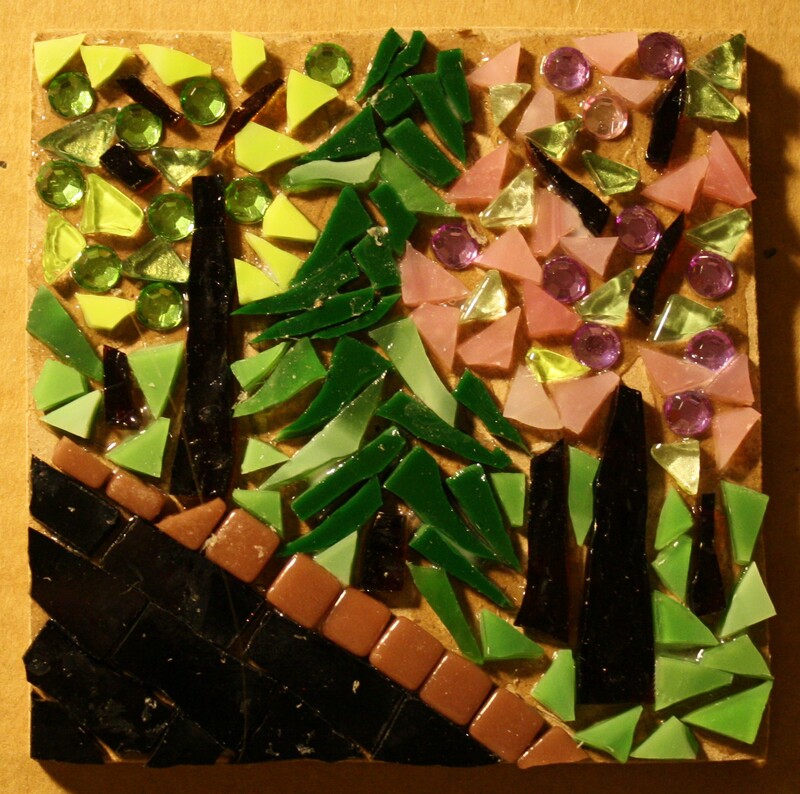 What a great reason to create a mosaic of trees, one of my favorite subjects. These trees were inspired by the trees I saw during the road trip I took Monday. Thank you. Do try mosaics. It’s so much fun! Just be careful, you may get addicted like I did. It’s a good addiction, though.